PROVIDENCE, R.I. [Brown University] — Brown University researchers have uncovered new clues about the progression of Amyotrophic Lateral Sclerosis (ALS), a surprisingly common disease that causes the death of motor neurons that control voluntary muscles such as those involved in walking, talking, chewing or breathing. A team led by Anne Hart, a professor of neuroscience at Brown, discovered that two different kinds of motor neurons that die in patients may die in different ways — an important insight for understanding the disease and, eventually, finding a cure. Their work was published on Monday, Oct. 8, in the journal PLOS Genetics. And the implications could be significant, Hart said — this is the first clue that future treatments developed for spinal cord neurons might not cure all people with ALS, because they won't help affected neurons in the brain. Though many cases of ALS don't have a clear genetic component, about 1 percent of people with ALS have mutations in SOD1, a protein involved in breaking down naturally occurring free radicals from oxidative stress. 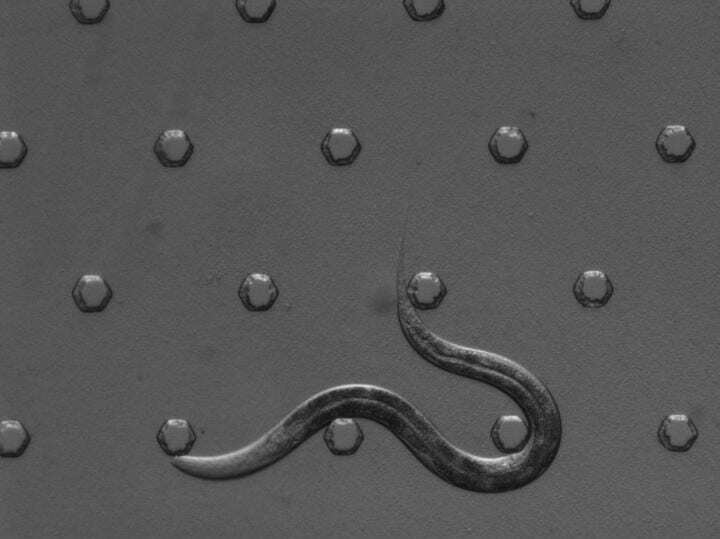 Hart's research team precisely and selectively engineered C. elegans– transparent worms about as long as a pinhead — so that the worm's SOD1 gene would contain a mutation such as those found in these people with ALS. Hart's team found that four patient gene mutations caused neurodegeneration after oxidative stressin a type of neuron similar to those in the human spine, likely through increased toxic protein accumulation that doesn't happen with the normal protein. However, two patient gene mutations also caused degeneration in a different type of neuron –similar to the neurons in the human brain–in part because the mutant protein no longer functioned correctly during oxidative stress. The other kinds of neurons were healthy in the new ALS models, even after oxidative stress, which is very much like the specificity of neuron death in people with ALS, said Hart. In contrast, previous worm models weren't very specific — almost any worm neuron could be killed by the patient version of SOD1. The team accomplished their goal and discovered that the glutamatergic neurons –similar to the ALS-affected neurons in humanbrains — and the cholinergic neurons –similar to the spinal neurons — in worms degrade for different reasons. They will do more research on these worm models.